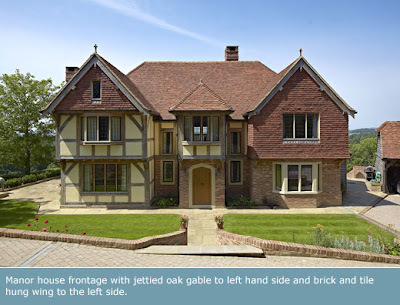 I am pleased to report that Oakwrights have today uploaded a really good case study of a house i designed a few years ago which was always going to be special. Absolute quality self build and just goes to show how much heart, soul and passion goes into these projects by people who have never done it before… self-build pioneers in my book! 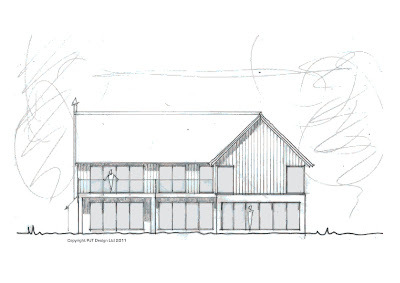 My contemporary spin on a barn is taking shape nicely for this beautiful plot in Essex. 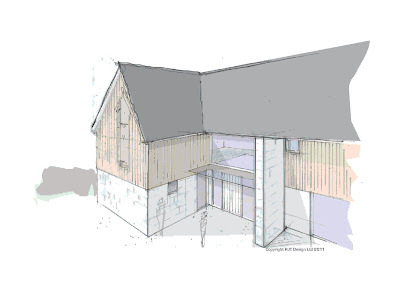 I have kept the design as simple as possible so as to echo traditional barns found within the countryside and combined this with modern geometry and detailing. I am especially loving the configuration of glazed elements on the entrance elevation…. Final design work should be done next week for a planning submission by the end of this month.